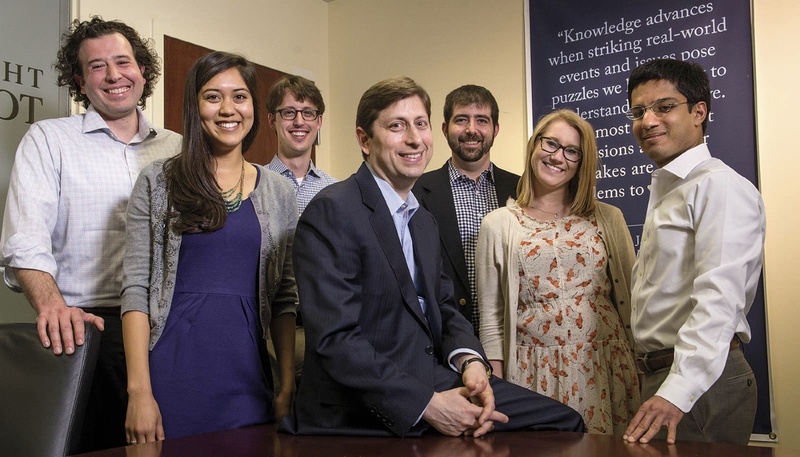 The interdisciplinary Tobin Project addresses real-world problems. Visit the Tobin Project website to read about the research on institutions of democracy and national security and access information on the project’s model, history, and community of scholars. 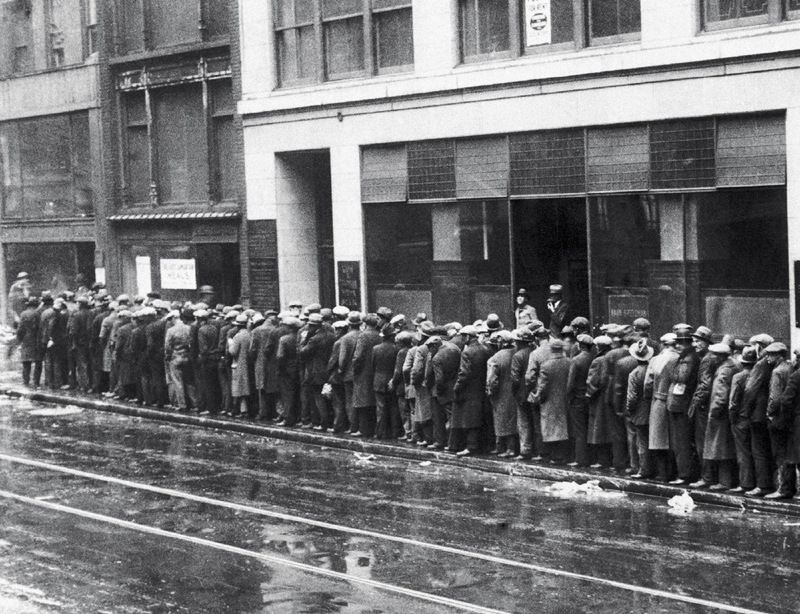 In the early 1930s, as a stock market crash spiraled into the Great Depression, the governors of the Federal Reserve frequently declined to provide emergency loans to banks, instead standing by as they failed. The prevailing economic orthodoxy held that painful as an economic downturn might be, it served to purge weak banks and other businesses. If they were protected, inefficiencies would be preserved—to the long-term detriment of the economy. Most economists now believe that this approach—combined with the high interest rates needed to maintain the gold standard—contributed significantly to the depth and severity of the Great Depression. “There’s a broad consensus” that the Fed’s policy back then “was a terrible mistake,” says McLean professor of business administration David A. Moss. This understanding arose from academic research conducted in the second half of the twentieth century. Economic modeling and study of the actual events enabled economists to say with a high degree of confidence that the misery inflicted during the Great Depression could have been tempered significantly with different monetary policy. Comparative studies strengthened the conclusion: the countries that got off the gold standard quickly and pumped money into their economies (as the Fed declined to do) recovered from the depression faster. This exercise in retrospection in fact informs much of Moss’s work. It illustrates the huge stakes for people’s lives implicit in large questions that can be engaged by social science; the capacity to answer those questions better with better social science; and the value of evidence and deep, methodical, empirical scholarship. “When people think about transformative research, they tend to think of the natural sciences,” Moss says. “I believe social-science research can also be—and has been—transformative. So how do we increase the likelihood of that happening?” The answer to that question is embedded in the Tobin Project, an independent, nonprofit research organization he founded in 2005. [E]conomic knowledge advances when striking real-world events and issues pose puzzles we have to try to understand and resolve. The most important decisions a scholar makes are what problems to work on. Choosing them just by looking for gaps in the literature is often not very productive and at worst divorces the literature itself from problems that provide more important and productive lines of inquiry. The best economists have taken their subjects from the world around them. mobilize, motivate, and support a community of scholars across the social sciences and allied fields seeking to deepen our understanding of significant challenges facing the nation over the long term, and to engage with policymakers at every step in this research process. Toward this end, the Tobin Project aims to identify and pursue questions that if addressed with rigorous, scholarly research could have the greatest potential to benefit society and to unlock doors within the academy to new and vital lines of inquiry. Yet that institutional innovation has proved to be far less challenging than the definition of worthwhile queries to pursue: large problems on which social scientists can engage each other productively, make meaningful discoveries, and shape both society and the future of research. Tobin aims high. 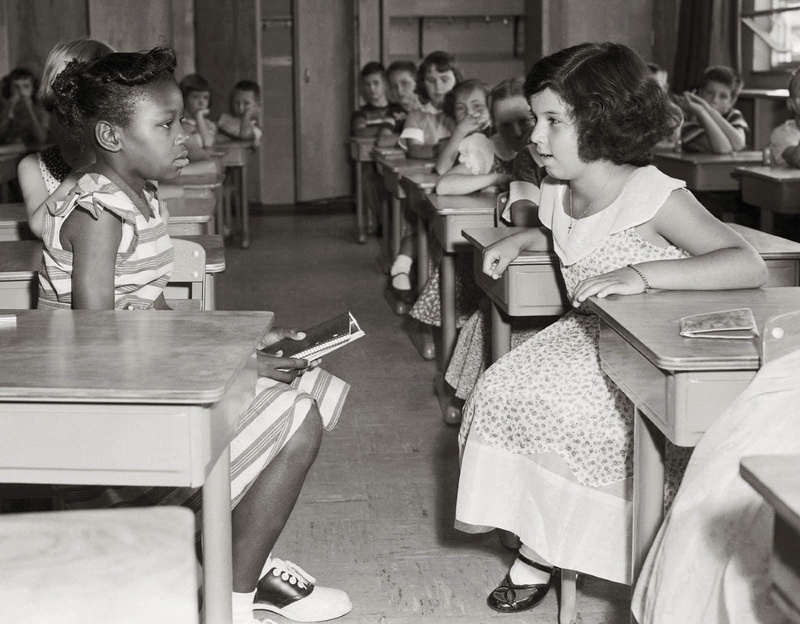 Moss cites examples of the influence of social science ranging from the origins of Social Security, which was first envisioned by academic economists, to foundational civil-rights advances such as the desegregation of American schools. But identifying such turning points in hindsight turns out to be much easier than framing them prospectively. At the project’s inception in 2005, Moss and colleagues from across the country convened 12 interdisciplinary groups to address obviously big subjects—energy, the environment, pensions, tax policy, regulation, and so on—assuming, Moss recalls, that “magic would happen.” It did not. “If you ask people to sit around and talk in working groups,” says Moss, “that’s what they’ll do. They’ll talk. Bringing talented people together around a table can be helpful, but it doesn’t necessarily produce research, let alone great research. 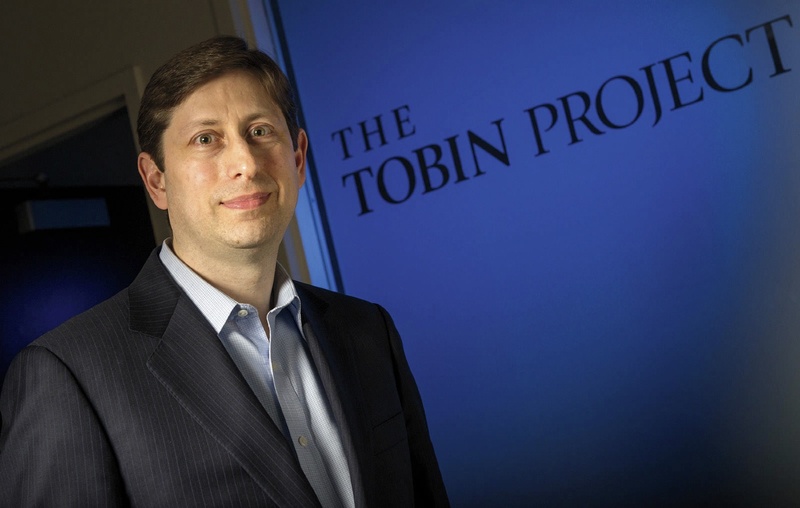 A weekend meeting of the smartest cancer researchers is not going to cure cancer.” And so the Tobin Project became a learning organization, inventing its own new approach to finding worthy, actionable ideas for research. economic inequality (the consequences of widening income disparities for the U.S. economy, society, and politics). In each case, Moss says, successful work plans must survive several filters. Would a Tobin-convened inquiry facilitate research that would not be pursued otherwise? Does it concern an important, real problem? Would scholars commit to work on it over time? Would their work inspire wider research? And could answering the question change public debate? The plan for investigating inequality—among the most contested of contemporary issues, but hardly the best understood—illustrates the full force of this process. “People make all sorts of claims every day about inequality,” says Moss. For example, some analysts hold that rising inequality among Americans caused the financial crisis, as the rich invested in additional financial assets like mortgage-backed bonds, enabling those at the bottom to maintain consumption—despite a diminished share of income—by taking on too much unaffordable debt. If true, that suggests urgent action to maintain economic stability. But others dismiss this argument, viewing rising inequality “as little more than a hiccup” or even celebrating it as “a favorable development…in the progress of American capitalism.” Thus Moss, Anant Thaker, M.B.A. ’11 (now of Boston Consulting Group), and Tobin staff member Howard Rudnick summarized the situation in a working paper published last summer. “The problem is, there is no consensus in the research on the consequences of inequality,” says Moss. “We often make policy based on guesses, and this may be necessary at times. But it would be great if we didn’t have to.” “The problem is, there is no consensus in the research on the consequences of inequality,” says Moss. He knows exactly what gaps exist in interpreting inequality, because the working paper is a sweeping, relentless review of the literature in an attempt to tease out a meaningful approach to understanding the implications of the new reality: that from 1980 to 2010, the income share of the top 1 percent of Americans doubled (to 20 percent), and that of the bottom 90 percent decreased by one-fifth (from 65 percent to 52 percent). Research around the world on the measurement of inequality is robust and proceeding well, and there is at least a degree of scholarly consensus on the causes of rising inequality, Moss explains. But despite all the work done to date on the societal consequences of greater inequality, scholars have achieved little agreement. How, then, to proceed? Moss, Thaker, and Rudnick home in on the mechanisms through which inequality may lead to provable consequences for society. In particular, they define an agenda of behavioral experiments that might assess how high or rising inequality affects individual decisionmaking: how changes in inequality in society affect choices about consumption and saving, hours of work, taking risk, or trusting others. In effect, they propose a novel melding of streams of research: testing behavior under varying conditions of inequality. Tobin’s working group for this new inquiry (Moss describes it as an “academic dream team”) includes scholars who had already begun using experimental methods to examine related questions. Professor of business administration Michael I. Norton has tested people’s perceptions of, and preferences for, the distribution of wealth in society (see “What We Know about Wealth,” November-December 2011, page 12). Columbia University economist Ilyana Kuziemko ’00, Ph.D. ’07, has written with Norton about the concept of “last-place aversion”—the propensity displayed by subjects in laboratory experiments to take greater risks when they are placed at or near the bottom of an imaginary society, apparently because we all object so strongly to occupying (or falling onto) the lowest rung of the societal ladder. Other participants include professor of business administration Francesca Gino, whose research examines why people don’t stick to decisions they make, among other questions, and Kuziemko’s Columbia colleague Ray Fisman, Ph.D. ’98, whom Moss characterizes as one of the most creative social science researchers he knows, and who has studied everything from racial preferences in dating to cultural differences in corruption (the latter based on United Nations diplomats’ likelihood of paying a parking ticket in New York). In a second prong of the quest to understand the mechanisms by which inequality operates, another part of the Tobin group is planning experiments to examine inequality’s psychological effects, including on physiological markers of stress. Two psychology professors with expertise in this area from the University of California, San Francisco are taking the lead: Nancy Adler, Ph.D. ’73, who was one of the first to encourage Moss (and to volunteer to help) after hearing about his attempt to connect the fields of inequality and decisionmaking, and Wendy Berry Mendes, who was assistant and then associate professor of psychology at Harvard from 2004 until 2010. He hopes that results from these experiments will produce new ideas for framing experiments out in the world—for instance, about how inequality affects people’s preferences regarding everything from consumer borrowing to investment in public goods, such as schools. “By studying these possible mechanisms at the individual level,” he says, “we may eventually be able to say with some confidence whether inequality actually causes certain societal outcomes”—an achievement that has eluded most inequality researchers. So write Daniel Carpenter, Freed professor of government, and Moss in their editors’ introduction to Preventing Regulatory Capture: Special Interest Influence and How to Limit It (just published by Cambridge University Press). It is an unexpected analogy in the first part of a huge academic tome—but it conveys some sense of their ability, and intention, to bridge the gap between scholarship and practice, and minimize policy based on guesswork and on inferring causation where it may not exist. And it and the title have a larger purpose: conveying vividly the central discoveries of the Tobin Project’s recent work on government and markets. That work dates back to the original Tobin Project group on regulation, created in late 2005. Duke University historian Edward Balleisen, who chaired the group at the time, recalls that “prevailing theories on government and business relations (especially regulation) were premised on government failure. We wanted to engage more substantially with instances of regulatory success, and deepen the empirical basis for judgments regarding a range of regulatory strategies: when they achieved their aims and when they didn’t, and how to distinguish the first from the second.” The group’s early efforts culminated in Government and Markets: Toward a New Theory of Regulation, co-edited by Balleisen and Moss, which suggests ways to study the effectiveness of regulation in specific cases, and offers examples of cases where regulation has worked, or hasn’t, in American society. Even before that volume was published in 2010, the country had succumbed to a major financial crisis, and experts on economic regulation were in demand. Several in the Tobin network—among them Moss, Carpenter, and Elizabeth Warren, then Gottlieb professor of law, now a U.S. senator—found themselves regularly en route to Washington to talk with lawmakers about financial regulatory reform, including the possibility of creating two new agencies focused on consumer financial protection and the management of systemic risk. “At the same time,” recalls Melanie Wachtell Stinnett, then Tobin’s policy director, “members of Congress and the administration raised a new question: how could they design new regulatory agencies that wouldn’t fall prey to ‘regulatory capture’?”—the “capture” of a regulatory agency by those it oversees, resulting in its failure, or corruption. Consider a few recent “scandals” in the news: financial regulators missing investment fraud and toxic loans at the very time their staff was shuttling back and forth between Washington and Wall Street; energy regulators ignoring the risk of a catastrophic oil spill just as their inspectors and officials were cavorting with industry managers; a telecommunications regulator making a series of industry-friendly decisions, and just over a year later a prominent commissioner who was a pivotal vote in these decisions departing the agency to take a high-status vice-presidential position with a regulated company. Second, Moss observes, the very nature of the financial crisis brought to light new needs for “systemic” regulation. When financial institutions obscured the risks of low-quality loans in collateralized mortgage obligations; enmeshed one another in far-reaching credit-default swaps; and simply became too large to fail—some different regulatory regime was clearly needed. In the intersection of these trends—popular distrust of the efficacy of regulation, the new need for such oversight, and a prevailing social-science theory that over-predicted regulatory capture and may have overprescribed wholesale deregulation—the Tobin scholars found an urgent need for fresh, better social science. The new book (one product of that work) combines historical investigations, new theory, and detailed case studies to advance an operational definition of regulatory capture, a taxonomy of the varying forms and degrees of the phenomenon, and, perhaps most important, insights into what Carpenter and Moss call “the conditions under which regulation sometimes succeeds, or can be made to succeed, when capture is constrained.” In other words, the scholars’ research has shown ways to make needed regulation and governance work, so business processes—manufacturing drugs, producing energy, making consumer loans—can operate safely, productively, and fairly. Just as physicians once believed that the only effective way to treat infection was to cut it out surgically, it is commonplace today to believe that capture can only be treated by “amputating” the offending regulation. Fortunately, the evidence that emerges in this volume suggests that less drastic remedies may be equally if not more effective, and that some are already working—like the body’s own immune system—almost invisibly behind the scenes. That deeply empirical research, which identifies certain regulatory bodies with “surprisingly strong immune systems,” yields all sorts of practical suggestions for mitigating capture: consumer empowerment programs; cultivating diverse, external expert advisers; expanding federal review of regulatory actions to include inaction (where an agency has been stymied by an interested party). Some of these techniques have already been implemented—for example, by building a consumer advisory board into the new Consumer Financial Protection Bureau. Once a research priority is defined, the Tobin Project is careful to assemble a group of scholars that spans disciplines and generations. When graduate students sit alongside Nobel laureates, it has found, youthful energy meets with the wisdom that comes with experience, challenging all involved to think in new ways. Inviting each group to answer a question, as opposed to talking about an issue, helps orient the discussion so the scholars consider, and learn from, one another’s perspectives—productively moving beyond their expertise in their own fields. As the Tobin Project hews to its careful process, meticulously setting up the conditions to encourage new insights, “The risk-taking happens with the ideas,” says Stephanie Khurana. For example, the inequality group is trying an entirely new approach, with no guarantee it will pay off. Or, consider the career of Moss’s uncle, the late cancer researcher Judah Folkman, M.D. ’57, who made the revolutionary discovery that tumors recruit their own blood supply. When Folkman first started investigating this path, colleagues told him he was wasting his time; it was so different from what anyone else was working on that they couldn’t see its potential. Contributing editor Elizabeth Gudrais ’01 is a freelance writer based in Madison, Wisconsin.